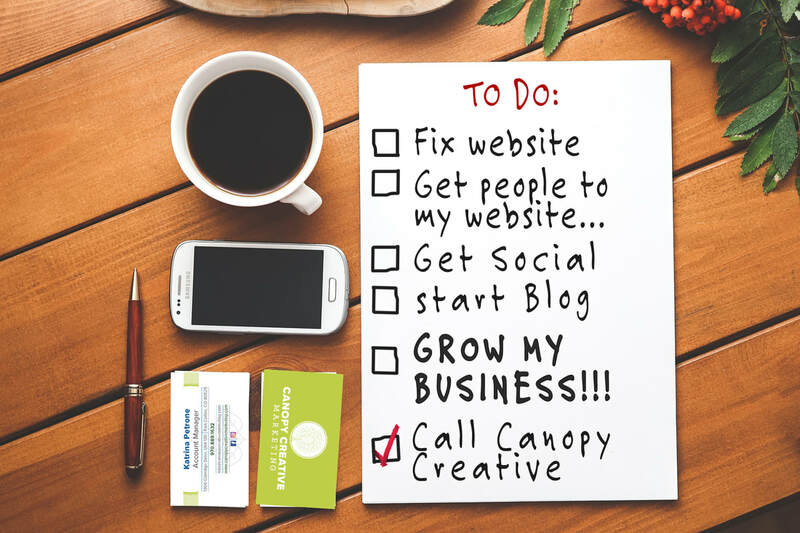 Creative Canopy Marketing knows it takes more than a pretty website and a Facebook page to successfully market your business. To create new branding and propel existing brands forward, we focus on the full canopy of digital marketing services: website design, branding, hosting and management, social media marketing, reputation management, pay-per-click advertising, Email marketing, and content creation services. ﻿﻿﻿﻿It's 2016, so it is time to accept people are searching for you online. What's more, most of them are searching you on their mobile devices. Canopy Creative Marketing offers front-end website design specially formatted to fit any screen (desktop or mobile) to ensure you're making a good and lasting first impression on potential new customers. Click here to check out our web design portfolio. Your brand sets you part from your competition — it's the promise of the value your customers will receive. Canopy Creative Marketing understands how important a business's brand is and offers services to help create your identity or update your existing image. Branding services include logo design/redesign, brand strategy and identity, and product ID. Click here to view our branding and logo design portfolio. In this day in age, your business can not afford to be labeled as "antisocial." Engaging with your audience through social channels is an easy (and effective) way to stay connected with past, current, and potential customers. Canopy Creative Marketing offers everything from account creation and daily management, to training and pay-per-click campaigns. In other words, we're super social! Everyone's got an opinion these days and they're more than willing to share it.... ONLINE! Canopy Creative Marketing is happy to monitor what fans and critics alike are saying about your business online. We offer timely and professional responses to ensure your audience knows they're being heard. Pay-Per-Click (PPC) campaigns are a great way to get in front of your audience quickly. Canopy Creative Marketing will help identify your primary competitors, top keywords for search, while targeting your desired audience and re-targeting previously interested customers! Visitors need a reason to return to your site; they want information that's relevant to to them, speaks to them on their level, and is updated regularly. What's more, search engines like Google, Bing and Yahoo LOVE to find new, original content, and reward websites whose pages are updated on a regular basis by placing them higher in search engine page results. Canopy Creative Marketing will provide you with content creation strategy and tactics to ensure your site is always fresh and relevant to your audience. Email Marketing is a cost effective way to reach and engage your audience. When properly integrated with social media, your email marketing campaign can generate new sales and repeat business! Canopy Creative Marketing offers editorial calendar development, email layout & design, contact list management, E-blasts & E-newsletters, copy writing, social media & website integration and more.